What to Look for When Buying Wet Dog Food? Some of our fur babies can be really finicky eaters. Dry dog food isn’t as savory and flavorful as wet dog food. We also know that canned food can be more expensive than a cheap dog food option, spoil faster, and not be as healthy as dry dog food. Choosing the right canned food comes down to essentially the same things. We need to select one your dog will enjoy, give them the proper nutrients, and not contain any harmful ingredients. We have taken the liberty to compile the top 10 wet dog foods for you while taking all the above factors and more into consideration. 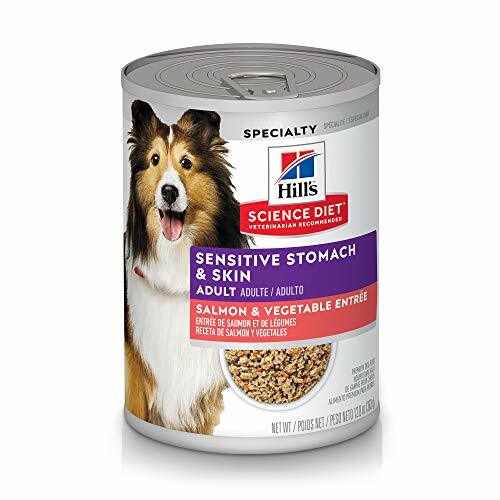 The key to your dog’s health at any stage in life is through its stomach. 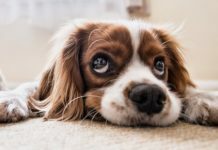 If your dog is a puppy, has certain health issues, is a senior dog, or is of a certain breed that needs special care, then look for dog food that caters to them. 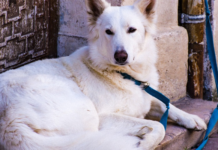 If you have a normal sized, healthy and young to the middle-aged dog, then read on! Make sure that your wet dog food also has protein as the number 1 ingredient. This one contains high-quality chicken. Wet foods are generally more flavorful so that isn’t something you need to worry about. 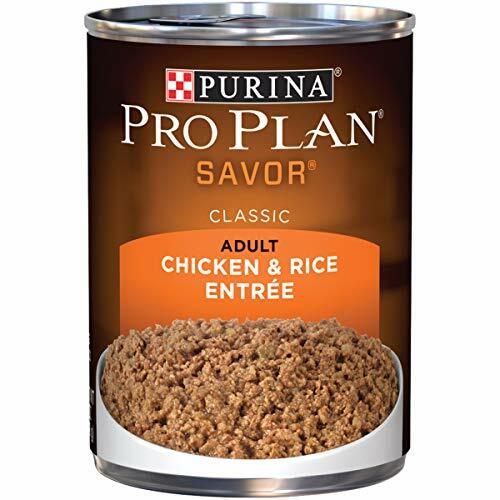 The protein in this Purina blend is complemented with wild rice. With 23 essential vitamins and minerals for your pup, you can be sure all areas of his or her health will be looked after. For their skin, omega 6 fatty acids can be found to give them healthy skin and a radiant coat. Everything they use in this recipe is highly-digestible for your pup so don’t worry about stomach issues. Why We Like It – Purina has years of research under their belt to back up their dog food. It is recommended by vets and chosen by champions nationwide. 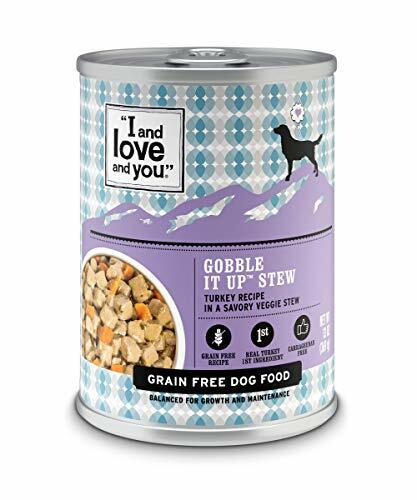 Just looking at a picture of this dog food reminds us of some canned meals we can find in the human food aisle! It may look yummy to you too! This roasted chicken, carrot and spinach blend is made for adult dogs. What’s important about this wet dog food is there are no artificial preservatives or flavors added. Everything your dog will be gobbling up in every bite will be natural ingredients! This dog food is made in the USA and the ingredients are high-quality and thoughtfully sourced. With a wide variety of flavors, give your pet something they can’t resist! Why We Like It – Make sure your dog is healthy by keeping him or her happy at all times. 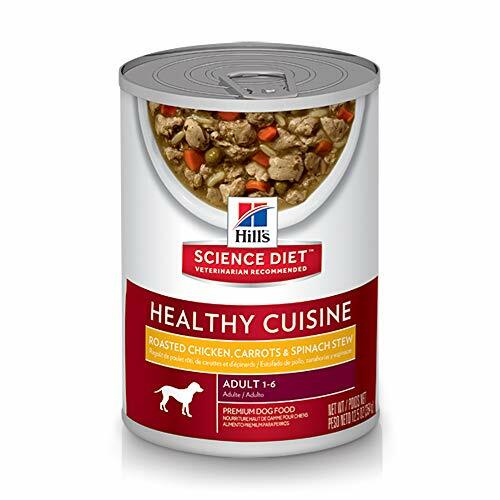 Once you serve Hill’s Science Diet Wet Dog Food, you can be sure your pup will empty its bowl quickly and lick its lips for more! This wet dog food is grain-free, and the best for your sensitive furry buddies out there. It’s an easy to digest option with lamb, the most easily digestible protein as the number 1 ingredient paired with chicken as a sidekick. A lot of thought and careful planning went into each bite of this grain-free food to give your pup the best all-around nutritious meal. This recipe is perfect to be served alone or mixed in with Nutro Ultra’s dry dog food to give it more of a taste. With non-GMO ingredients and no traces of chicken by-product meal, corn, soy, wheat, or artificial additives, you can trust Nutro Ultra with your best friend’s health. 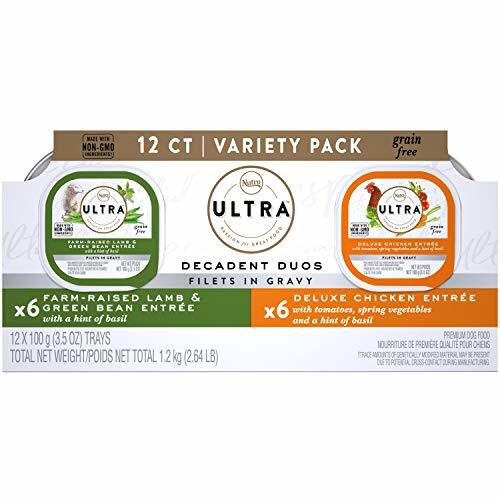 Why We Like It – Each wet dog food recipe from Nutro Ultra contains a carefully balanced blend of proteins and vegetables, and some with a touch of herb for extra flavor will give your dog a delicious meal beyond comparison. 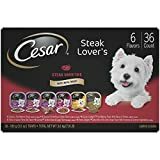 If this is the first time you’re thinking about switching to wet dog food or even just adding a tad to your dog’s meal, this is a great choice. You might not know which flavor will appeal to your pup, and this pack comes with a variety for him to try. With 6 flavors, these delicious meals come in peel-away seals that are easy to serve. Each and every flavor of this wet dog food is fortified with vitamins and minerals to help dogs of every size, but especially smaller breeds to stay healthy. 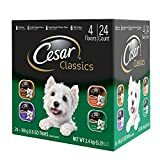 Cesar is a brand that follows AAFCO (The Association of American Feed Control Officials) standards. Take comfort in every tray you feed your dog, knowing they are getting quality food. 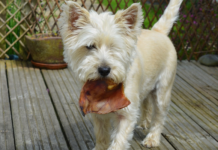 Why We Liked It – The way to a dog’s happiness is also through their stomach. 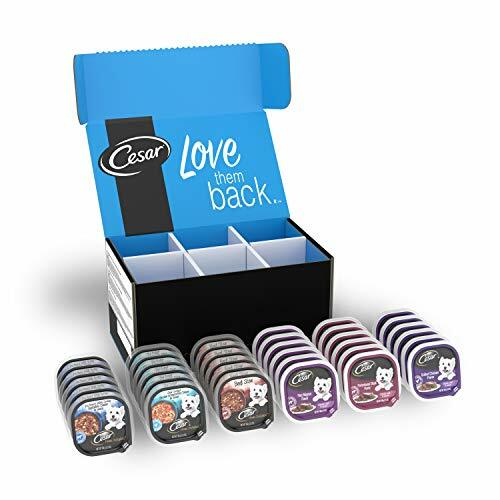 Get extra tail wags and kisses from your pet when you serve up Cesar Gourmet Wet Dog Food. Whenever something is natural, you know it’s good for you. This wet dog food is made with real meat and no corn, wheat or soy ingredients that are hard on the digestive system. Real meat means no meat by-products or fillers are involved. Everything in this food is natural, with added vitamins and minerals. Every ingredient that makes it into Rachael Ray’s blend has its own purpose. All of the best ingredients are combined together to make an ultimate bowl of nutrition for your pup. Each of the recipes is inspired by Rachael Ray’s own recipes. If you purchase the variety pack, you get three of the best flavors to try. Why We Like It – Show that you love animals by purchasing Rachael Ray’s. A portion of the proceeds from each purchase will be donated to her foundation which helps animals in need! This product is so amazing they constantly have to be restocked! Turkey, a better and healthier alternative to chicken, is the first ingredient and main protein in this formula. Also, a grain-free option with no fillers, no artificial preservatives, flavors or colors, your pet’s health is well protected. Optimal levels of omega 3 and 6 fatty acids will give your dog a glossy coat and the vitamins and minerals give added nutrition. Pet parents with more sensitive dogs who are prone to allergies can rely on this dog food; Simply Perfection. Great flavors, no artificial additives and no risk of an upset stomach? Sounds like a good idea to me! Why We Like It – For maximum flavor, serve this food at room temperature and make sure you refrigerate any unused portions. Simply Perfection wet dog food keeps quite well. Hill’s often makes different formulas catering to dogs with every need and of every breed. This one is specially made for adult dogs with food or skin sensitivities. The high-quality ingredients must be easy to digest for those with stomach issues. Natural fibers from vegetables and a clinically proven blend of antioxidants and vitamin C and E support your dog’s immune and digestive systems. All of Hill’s Science Diet dog foods are made in the USA with globally trusted ingredients. It’s a balanced blend tailored to give your dog full support of his or her sensitivity issues. Why We Like It – Hill’s has been around for a long time. They formulate unique blends that cater to every dog. Put your dog’s health in their hands with clinically proven recipes. Each of these recipes abides by the AAFCO nutrient profiles. Turkey is the main source of protein in this mix, turkey is rich in amino acids and dogs require this for a good and healthy life. 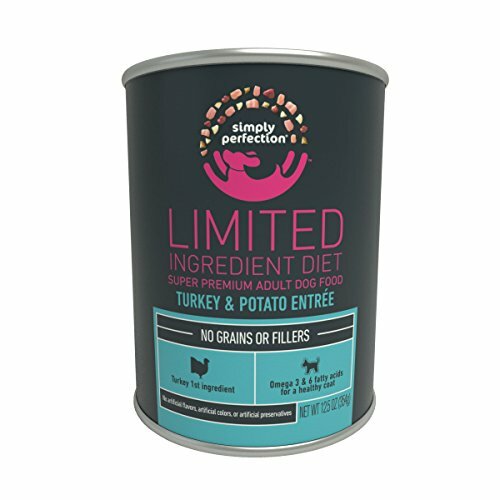 The flavor of this wet dog food comes from vegetable and turkey broth. The broth has minimal nutritional value, but using the broth to flavor food is much less harmful than artificial flavors. Being a grain-free choice, it’s allergy safe for pets and made in the USA from quality ingredients that are sourced globally. With no fillers and all love, give your pet a taste of I and Love and You today. Why We Like It – All the products combined are created to give the most optimal and balanced nutrition for your pup. I and Love and You also donate meals to shelters for pups in need. Another grain-free recipe, this is another great choice for puppies with sensitive tummies. The high meat and low carb ratio will regulate your dog’s diet and prevent obesity. All made in the USA, the mix of vitamins, minerals, and antioxidants keep your dog healthy and energized. Nulo is made with 100% all-natural ingredients. Nothing harmful to your pet like soy, wheat, and artificial colors and flavors can be found in this formula. Nula’s protein-rich formula will keep your pet happy, energetic and healthy. 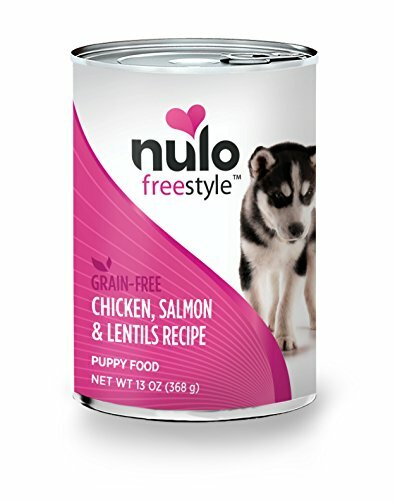 Why We Like It – We love how Nulo manages to produce a tasty and savory meal, but also be on the lookout for your pet’s health with the healthy protein to carb ratio. Other than the real chicken, another great protein ingredient that can be found in this wet dog food is real venison! Your dog will enjoy fine dining in every can. With not only one but four antioxidant sources, they will guarantee a strong immune system. The high-quality ingredients do not include anything artificial such as colors, flavors or preservatives. This highly digestible mix has nothing but the best with no by-products of any kind. 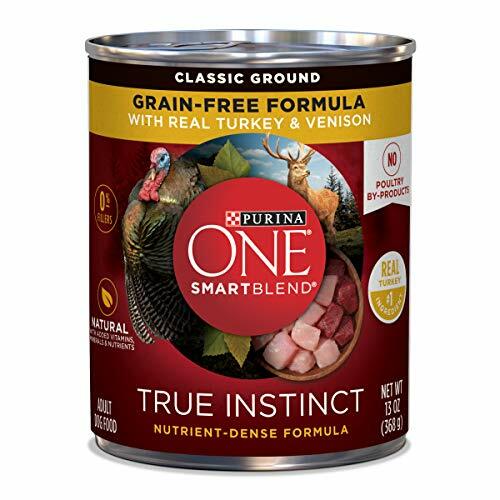 Give your dog Purina ONE, the nutrient-dense blend to sink his teeth into, without any of the harmful ingredients like grain and fillers. 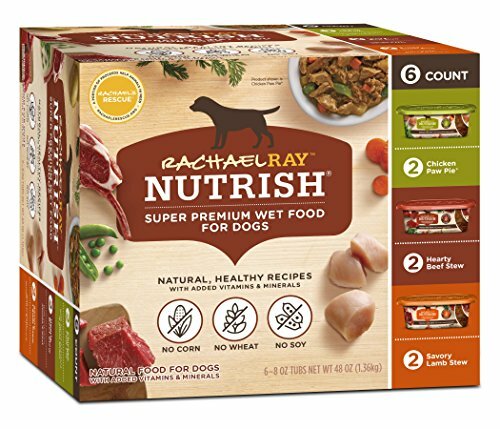 Why We Like It – This yummy wet dog food has all the nutrients that are helpful for every kind of dog. Glucosamine levels will help the joints of your pupper and make you feel good for giving your pooch the best. A lot of the options out there contain a lot of the same things. Wet food often contains more protein and fewer carbs compared to dry kibble. Since wet food also doesn’t keep as well, it means fewer preservatives are added. As you can imagine, wet dog food contains a higher moisture content, which will keep your dog hydrated. Lots of pets who eat dry dog food need lots of water at the ready. One downside of wet food is the price point. Wet food is generally more expensive. For this reason, many pet parents decide to mix a bit of the wet dog food into the dry one to give a little bit more flavor and texture and added nutrition to supplement their pooch’s meal. Regardless of the reason, we definitely want to make sure we choose the best there is out there. Let’s take you through what to look for when buying wet dog food. In no specific order, we have condensed the information into a small list easier for you to carry with you next time it’s puppy food time. 1. An AAFCO label – Make sure everything is balanced and complete with an award from the AAFCO on the package. 2. No grains or by-products – Grain is a very controversial ingredient and I’d suggest grain-free options. But if you must have grain, make sure they are whole grains, and by-products are a no-no. 3. NO ARTIFICIAL ANYTHING – Nothing artificial such as flavor, color, and preservatives are allowed in your fur baby’s food. 4. Protein – The protein used should be from clear and specified sources. No mystery meats are allowed in either. 5. Make sure a meat source is always listed as the first ingredient. The first ingredient listed is the main ingredient, meaning there is more percentage of the first ingredient than anything else. Protein: This should always be the number 1 ingredient on the list. They should always tell you what animal the protein is from. Chicken, lamb, beef, venison, bison, and turkey are the most common. Grains: If you decide to have grains, as they can help with the digestive system, then choose WHOLE UNPROCESSED grains. The best forms would be brown or wild rice. Avoid any sort of wheat. Vegetables: We prefer vegetables to be whole as well. Whole veggies are great in pet food. Make sure you are reading through the ingredients carefully and taking your dog’s needs into account. 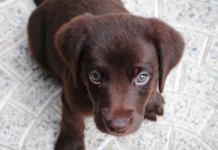 For example, if your pup has sensitive skin issues, steer clear of grains. By-products: In literally every dog food review, we mention by-products as a huge ingredient to avoid. In fact, it’s at the top of the list this time. Avoid any of the canned food that has by-product labeled. By-products can be hard to avoid, but the more by-products a wet dog food contains, the lower quality it is. Non-specified ingredients: Anything that you don’t know of or don’t clearly understand, don’t feed it to your dog! Some of the things included in unidentified protein sources could be heart, liver, kidneys etc. It’s a guessing game we do not want to play. Anything Artificial: Avoid these at all costs. It shouldn’t be hard when purchasing wet dog food since they on average contain fewer preservatives and are fresher than dry food. To better help, you decide if the wet dog food is the way to go, let’s take a look at this comparison. Of course, as you can see, there are benefits and drawbacks to both. It’s up to you to decide and look carefully into which is better suited to your dog. Those pups with teeth and gum issues and cannot choose hard food, wet dog food is an excellent option. I know what you’re thinking, you might not even have to choose between them! To get the best of both worlds, you can mix them together to create a super meal. Make sure that there is more kibble than wet food in the mix however, to make sure your dog doesn’t reject the kibble and become picky eaters. Typically, you should be feeding your dog 1oz of wet food to one pound of their weight. It seems like a lot, but keep in mind that wet food is mostly water. A good way to maneuver around this is to mix the two foods. 10oz of wet dog food replaces 1 cup of dry dog food. So depending on how much you feed your pup, work that equation into your calculations. 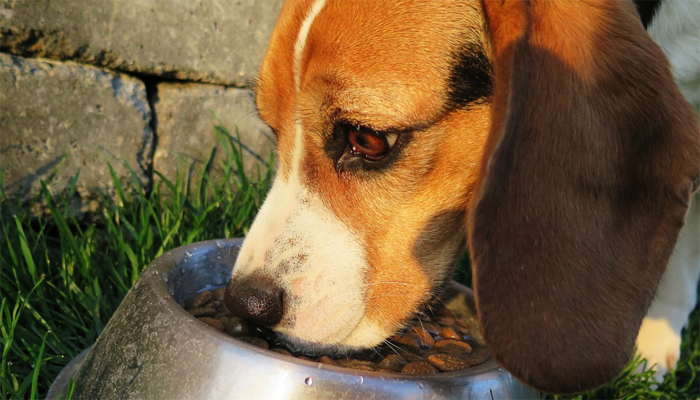 Always keep water in their water bowl and make sure it’s always filled because although wet dog food has a higher moisture content, it does not replace water by any means. Now take all the knowledge bestowed upon you from the Internet and set out on the quest to purchase the best-wet dog food! Most of our above options are good choices for wet dog food. 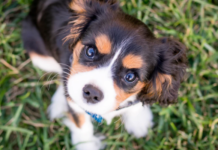 You don’t want to take a chance when it comes to your pup’s health. Ever. Canned food or dry kibble? It’s really up to you. 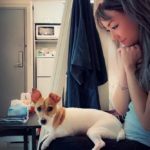 I personally feed my dog a mix of both, but due to experience, and having a picky eater for a fur baby, I cannot spoil him with too much-wet food and too little kibble. He will end up eating around the kibble. So make sure you give a balanced mix. But, as we always say, each dog is different – look at the dog, not the food. The best advice will always come from your vet. The fuel that comes from quality nutrition makes a difference and informed choices will keep your canine companion healthy and happy – but as long as you’re keeping your pup’s best interests in mind, you will undoubtedly make informed and positive decisions. Because wet dog food can be considerably more expensive, it could be tough to only feed your dog wet food. For those of us who want to give our babies the best, but don’t want to make our wallets bleed, mixing wet and dry food is a great option. The variety of distinctive tastes of wet dog food will always keep your dog interested and looking forward to mealtime. Wet dog food has also been said to promote weight loss and reduce bloating! So for those larger pup owners or for Bulldog parents, think about this option!